The FRED Report provides investors access to unbiased financial market research. 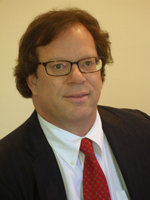 The President of the Fred Report, Fred Meissner, CMT has been practicing Technical Market Analysis since 1983 and has worked in the research departments of Merrill Lynch and Robinson-Humphrey/Smith Barney. In addition, he has served the public as a portfolio manager and financial advisor. We know the problems investors face and have devoted our careers to helping clients find the best possible investments in all environments. We want to help you make informed and profitable decisions. Click 'Join Now' and enter in promocode '30Day'. What is Fred saying now?